Our last meeting took place in the cosy surroundings of the Golden Fleece pub, with Christopher taking on the role of Toastmaster of the evening, energetically leading the evening’s fun night of speeches. Assisting Christopher, Mikhail was the timekeeper of the evening, with Caroline as Grammarian, introducing “aptitude” as the word of the day, encouraging others to use it in their speeches. 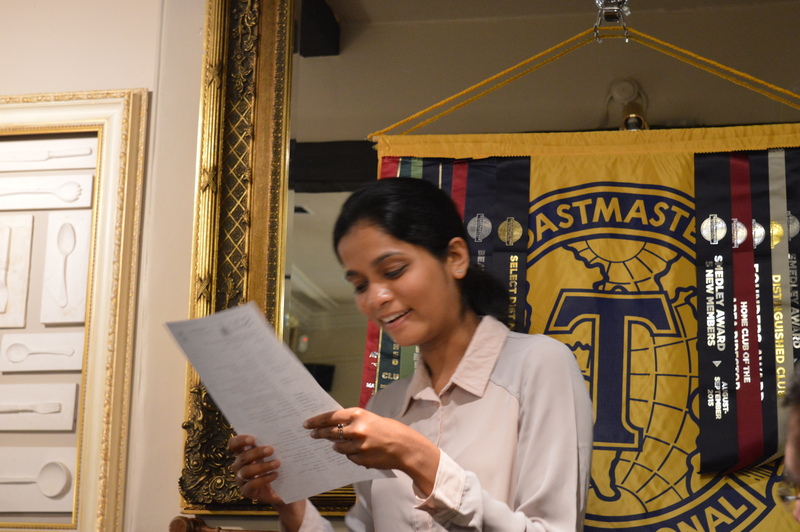 The two prepared speeches of the evening were both delivered by some of our newer members, Shalini and Gavin, with both presenting their second Toastmasters speeches. 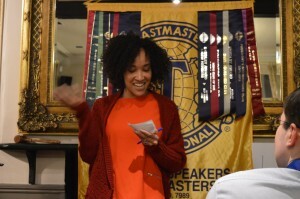 The objective of the Toastmasters second speech is “Organise Your Speech”, by using on a strong opening and conclusion, with a clear outline and message that can be easily understood. 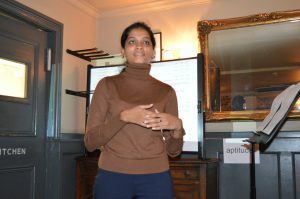 Shalini presented her speech first, titled “Lessons from the Multicultural Handbook”, in which she discussed the value to be gained from friendships with people from different backgrounds. 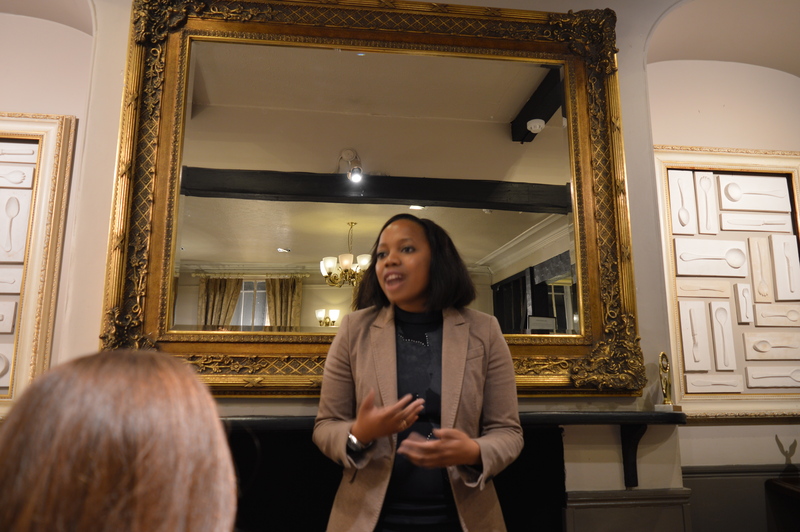 It was a warm and positive speech, delivered in a friendly conversational style, and demonstrated good organisation of material. 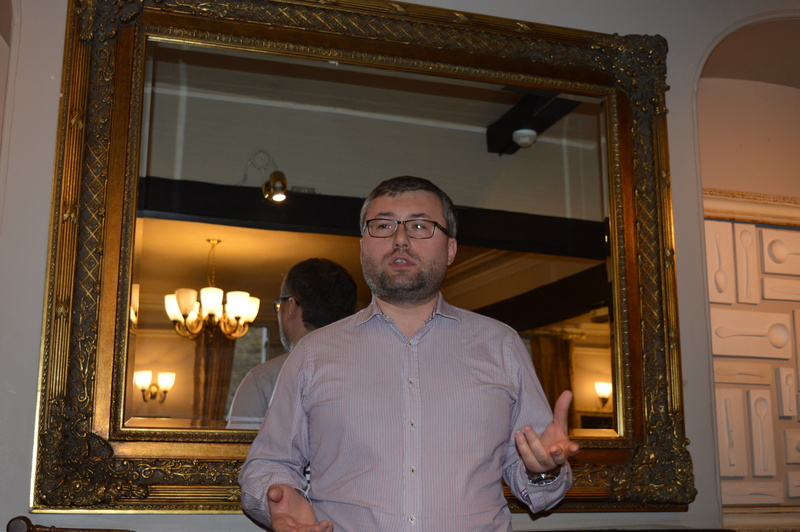 In Gavin’s speech, “Education”, he presented an outline of the education system in the UK. 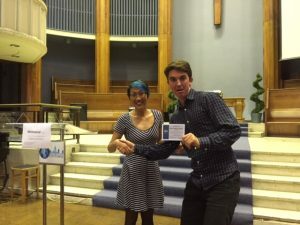 Gavin also did well in the organisation of the speech, presenting the content in an objective and articulate way, and harnessed many of the fundamentals of good speech-making such as strong voice and presence on stage. After the break the evaluations of the speakers were delivered by Michael and James respectively, concentrating on areas of the speech that worked well and met the objective, and also touching on pointers for improvement. 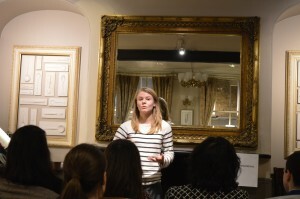 Table Topics is all about developing skills in impromptu speaking. Kris was the Table Topics Master of the evening. In the spirit of the recent EU referendum Kris asked the speakers questions where they could agree one way or the other. Starting off with “do aliens exist or not?” there were lots of fun and interesting speeches. Further evaluation was delivered by Caroline, in the grammarian report, and by George in the General Evaluator report. The meeting was the last one of the committee year, and Florian handed over the role of President to Caroline and Thien-Trang who will be joint presidents of the club for the next year, together with a new committee! In our last meeting we enjoyed three brilliant speeches from speakers nearing the end of the Competent Communicator manual. The Competent Communicator manual acts as a guide for the first 10 speeches of a member of Toastmasters, with each speech developing a particular public speaking skill. Caroline took the reins as Toastmaster of the evening, charismatically introducing the speakers, and functionaries, with Kris the evening’s Timekeeper (making sure everything runs to time), and Joy the Grammarian of the evening, who looked-out for interesting word usage, and introduced the word of the day “Brevity” for speakers to try to fit in their speeches. Sarah gave her 9th speech, the objective: Persuade with Power. In a speech titled “The Simple Things” Sarah focused on the issue of how technology can be a barrier to experiencing the world in a more direct way. 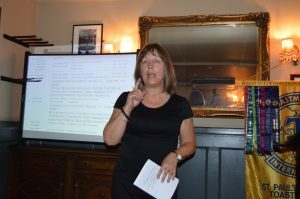 The speech worked well in using accessible arguments and visual images to persuade the audience to put down their smartphone and open their eyes. Christopher delivered his TENTH! speech, marking the end of the Comptenant Communicator manual, and his move into the advanced manuals. 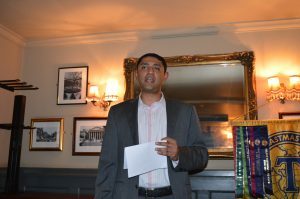 The objective of the speech was to Inspire Your Audience. 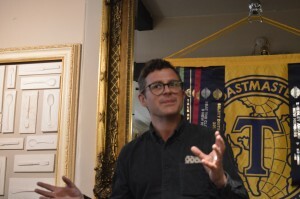 In a speech titled “It’s Good to be Free” Christopher inspired his audience with the beauty and importance of of open-source software, without which a huge amount of computer-based technology would not be possible. 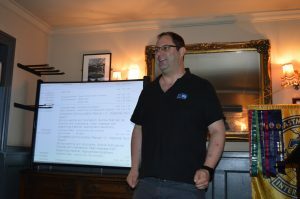 The speech provided an excellent history of open source software and gave some great examples, in a speech that used props well and conveyed passion. Evaluations are one of the most important aspects of Toastmasters, allowing speakers to gain an understanding of the things that went well and the things that can be improved upon. Providing the evaluations in the second part of the evening for three speakers were Florian, Mikhail, and James. Oleksandra was the evening’s Table Topics Master. Table topics are all about impromptu speaking, and Oleksandra came up with a number of fun and interesting questions for people to try to use in order to hone their skills of thinking a speaking on the spot. We had a number of club members and guests take part and it was good fun. 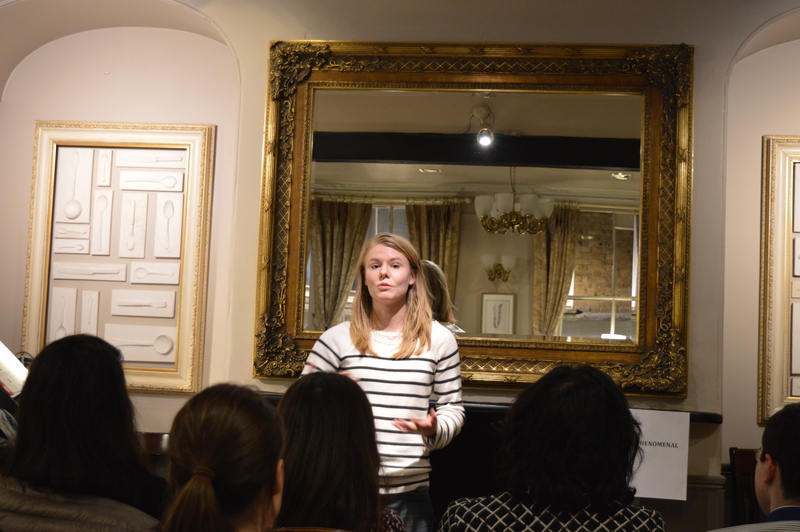 Isabelle evaluated the table topics, giving feedback to participants on things that went well, as well as some helpful pointers. Before the evening ended, Joy gave a well-delivered Grammarian report and Stella from Kings Cross Speakers gave the General Evaluator report! 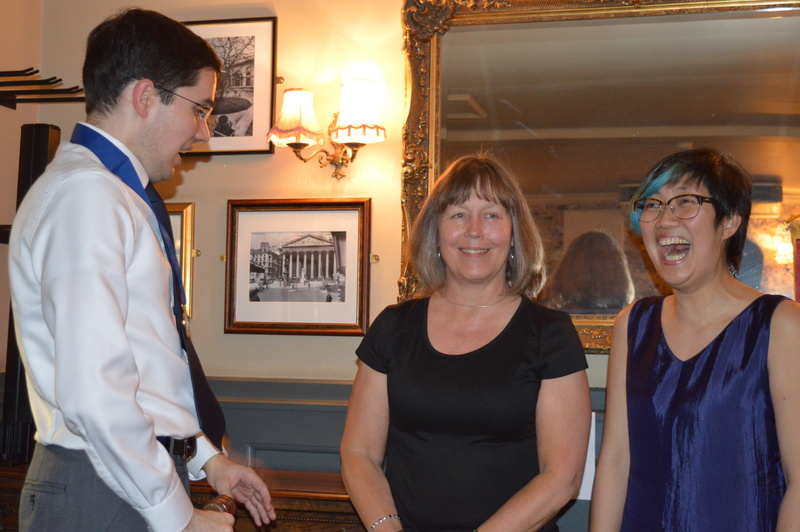 Our last meeting featured four amazing speeches, including two icebreakers. 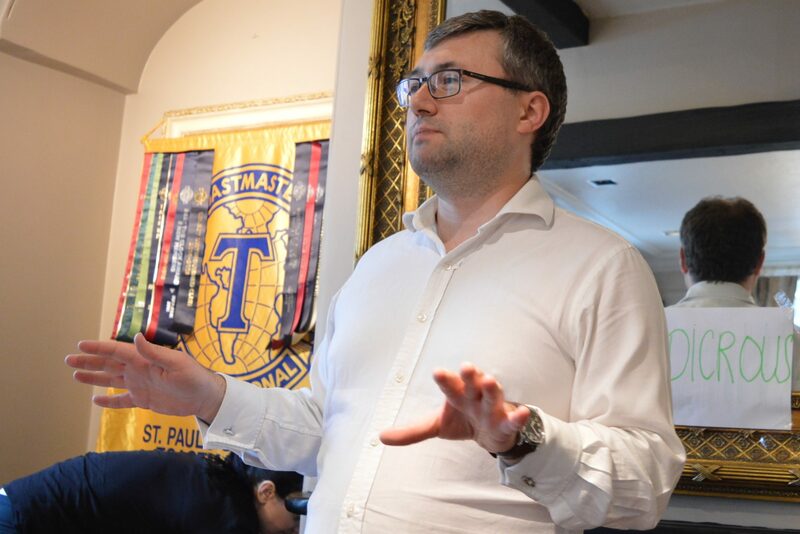 Mikhail took on the role as Toastmaster, assisted by Oleksandra as timekeeper and Thien Trang as Grammarian, who introduced the word of the day “Ludicrous”, encouraging speakers to make full use of it in their speeches! 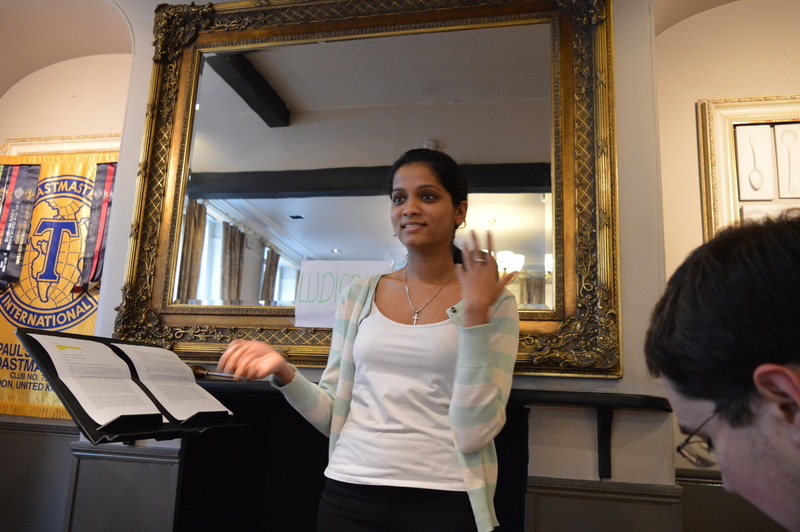 Shalini, one of our newer members, delivered the first prepared speech of the evening with her very first speech – her Icebreaker speech, “The Footpath of a Culturally Attuned Girl”, where we heard about her life starting in Sri Lanka, via university in the UK, to working in London. Shalini did well in presenting her warmly conversational speech with a good flow, and without notes. Christine’s Icebreaker “The Steps which Led me to Toastmasters” was a fun and energetic speech that that was well structured, and also delivered without any notes. We learned about Christine’s love of dance and her stepping stones in life, all the way from coming from France at a young age, to joining Toastmasters. It used a great visual concept of steps to focus her speech deliver it in an engaging way. 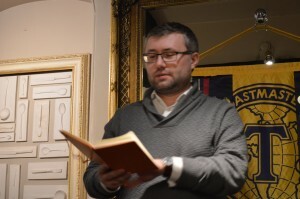 David delivered from the advanced manuals, giving some interpretive poetry readings, and we enjoyed hearing a selection of poems from various poets – some familiar, and some not-so. 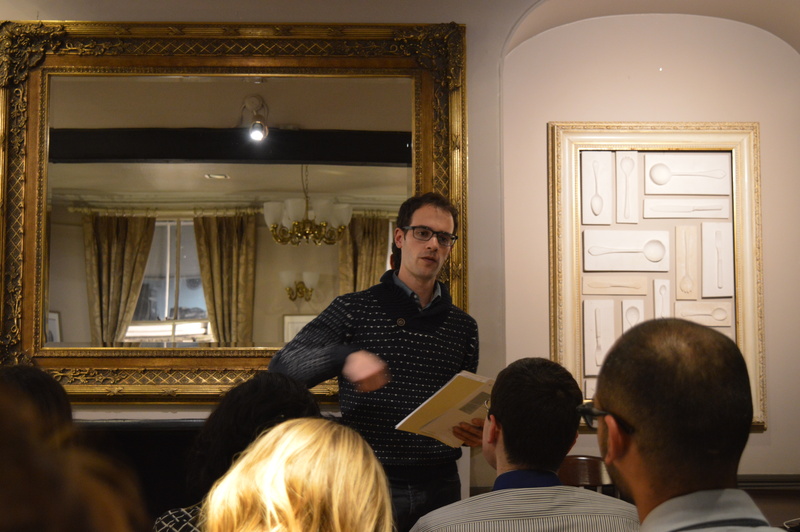 David used vocal variety to bring the poems to life and capture the audience’s imagination. Finally, Alan delivered a storytelling speech from the advanced manuals “When the Writing Stopped”. It took as its inspiration an imagined scene of Lewis Carroll suffering writers block. The speech brilliantly showcased Alan’s inventiveness in terms of story content and his master storytelling abilities in delivery. 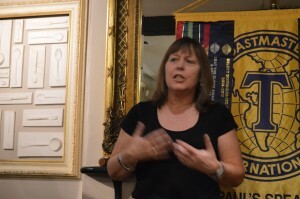 We were fortunate to have many guests in the meeting – introduced by Kris, as Sergeant at Arms, before the break. The evaluations were then delivered by Florian, Isabelle, Gavin, and James respectively. 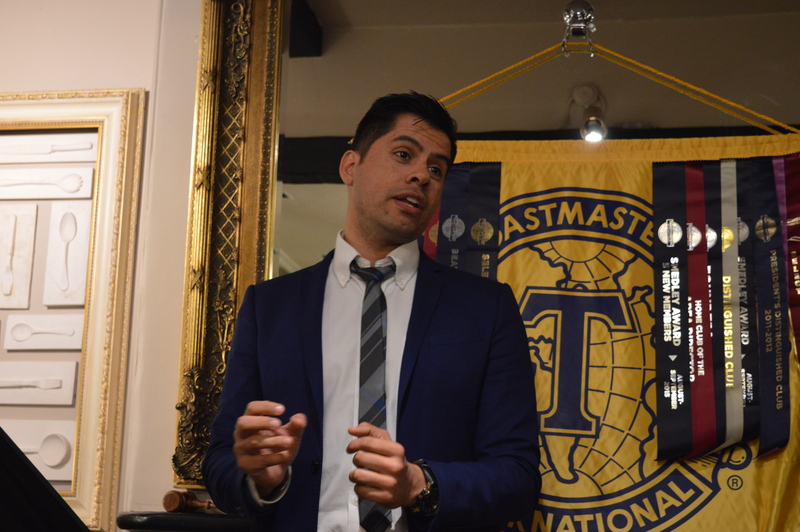 The evaluations are an important part of Toastmasters, and focus on areas that the speakers did well and pointers for improvement. 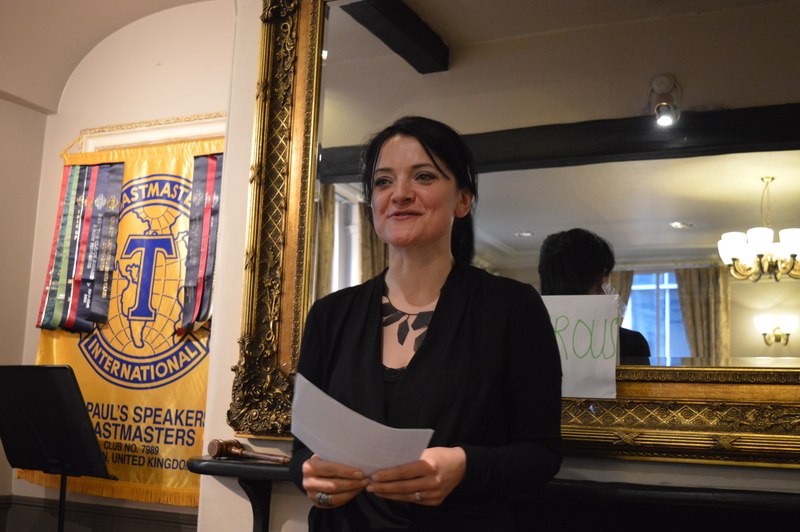 Next Ania hosted the table topics, where members of the audience were invited up to give an impromptu speech based on different quotes, such as “the limits of my language are the limits of my world”. It was a lot of fun, and many guests took part. 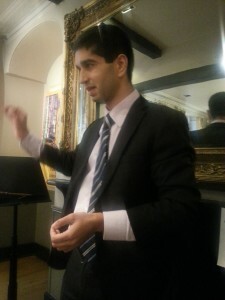 Christopher evaluated the table topics, giving feedback to the various speakers. 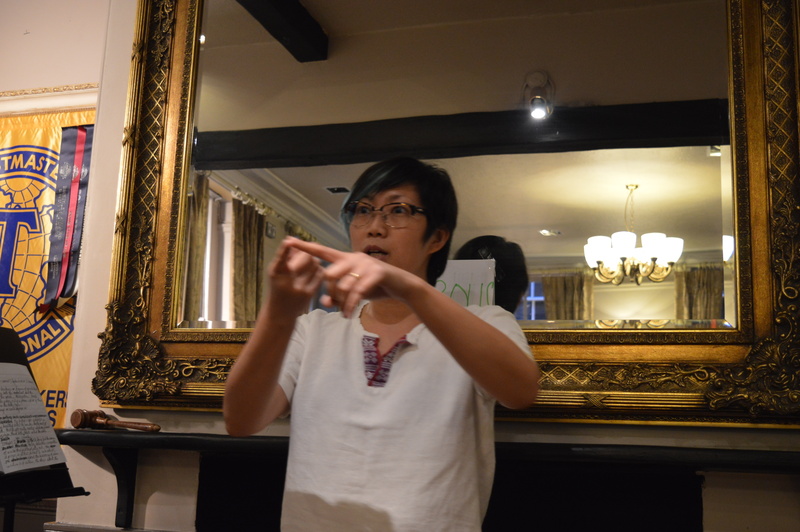 Followed by Thien-Trang’s incisive Grammarian report, looking at the language used by the evening’s speakers. And because evaluations are such a big part of what we do here at Toastmasters we were fortunate to have a General Evaluator to provide feedback. 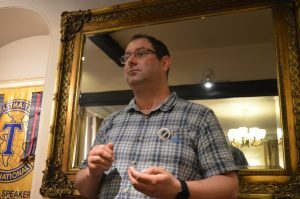 Barry did an excellent job in setting out his experience of the meeting, and ideas for improvement, as well as giving feedback on everyone who hadn’t yet been evaluated. 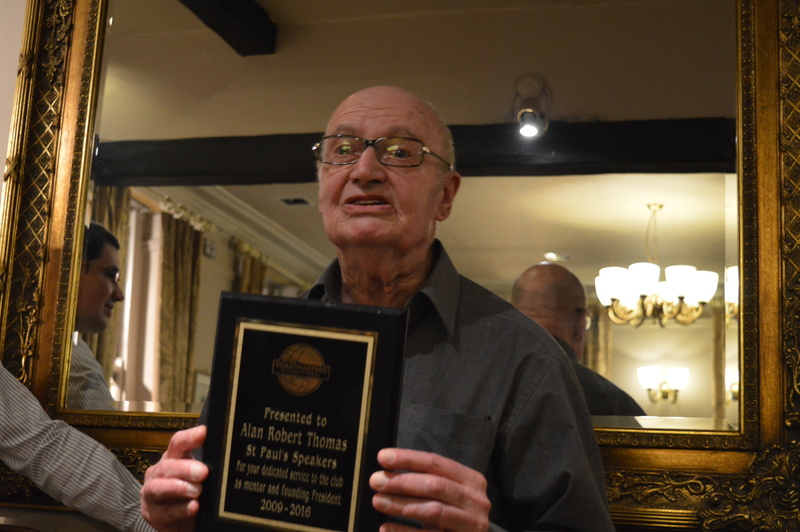 Finally, to mark Alan Thomas’ departure from the club, Florian presented Alan with a plaque commemorating his services to the club as mentor and founding president. 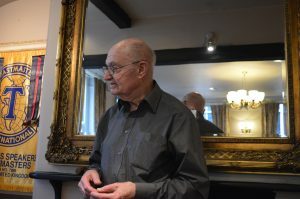 Alan has been a major presence in the history of St Paul’s Speakers and we look forward to some guest appearances in future. It is always exciting when a new member becomes a speaker by doing their icebreaker speech. This is exactly what happene din our last meeting on April 27th! 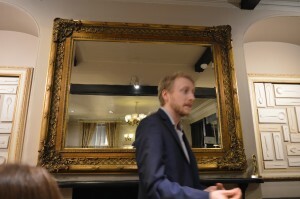 The meeting was aptly Toastmastered by James, ably helped by Kris as timekeeper and Gavin as grammarian. 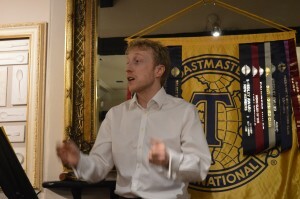 Introducing each speaker, Toastmaster James. The first speaker to be introduced was Solmaz who did her icebreaker speech “Sky is the Limit!”. 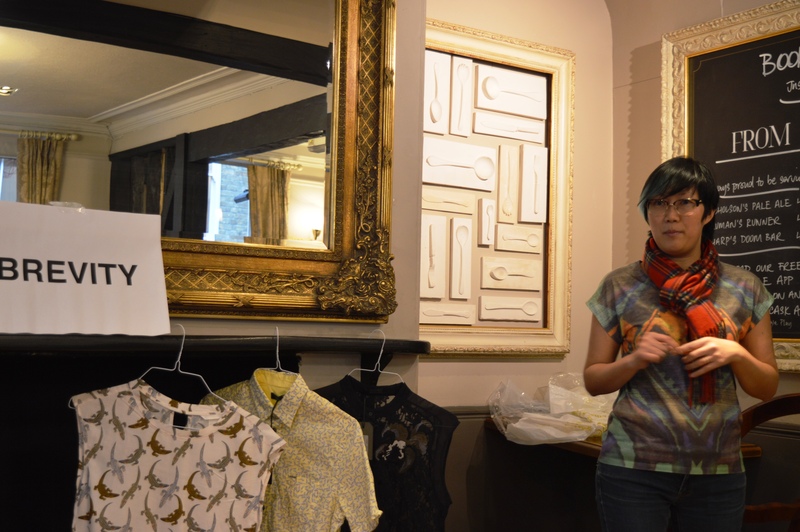 Solmaz took us on a journey from her native Persia to her current life in London and in the United Kingdom. 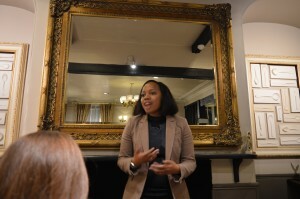 An amazing start to her Toastmasters journey as a speaker, well done! 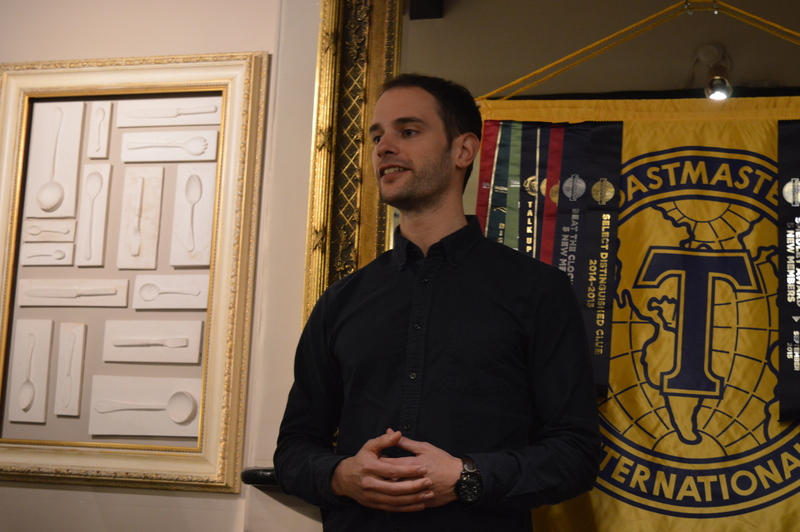 Club President Florian then took the stage with “Playing with fire” a speech from the Competent Communicator Manual involving visual aids. With struck matches, a piece of meat and an oyster card we were in for an interactive history of fire and how it changed mankind. 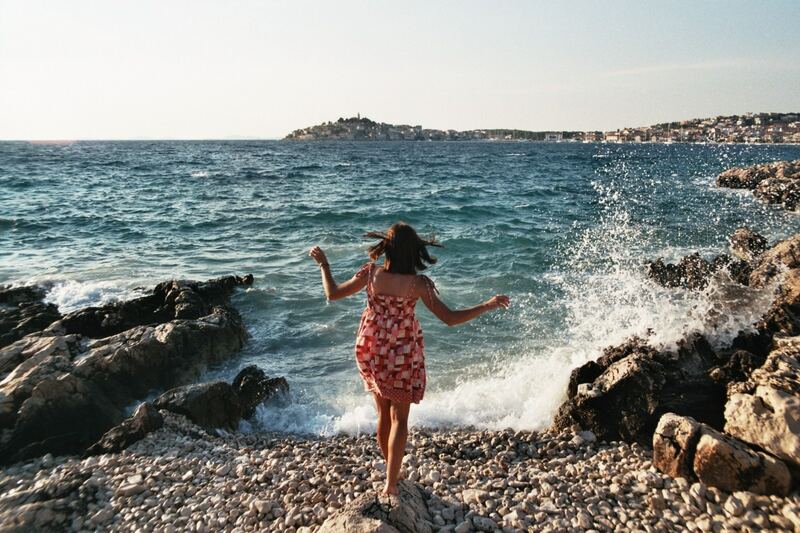 Did you know that cooking changed our bodies over millenias? 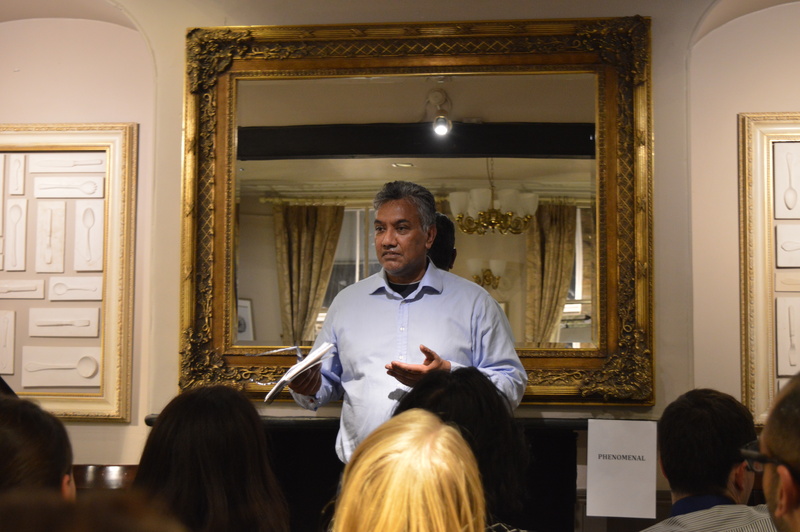 The final speaker this evening was Prateek from London Victorians with “Boxed in” a tale about how he came to face up some of his fears. 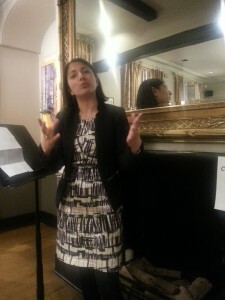 In Toastmasters, each speaker is evaluated and tonight our evaluators were Isabelle, Shalini and Christopher. Each gave specific feedback to our speakers on the strengths they can leverage and their points for improvements. 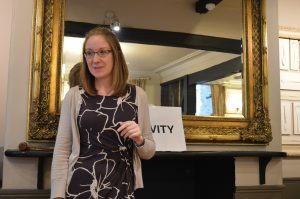 Our table topics session was facilitated by Christine who came up with very creative questions for our impromptu speakers. 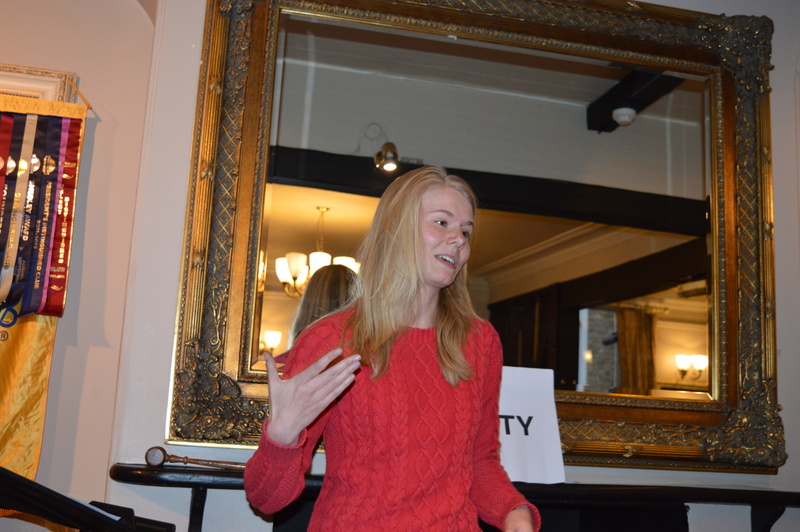 Each of the table topics speakers were then evaluated by Caroline. Gavin later came back for his grammarian report. Shortly followed by Mindy from Early Bird Speakers who evaluated the entire meeting as general evaluators. All in all it was a great session, see you all on May 11th for an extra special meeting! 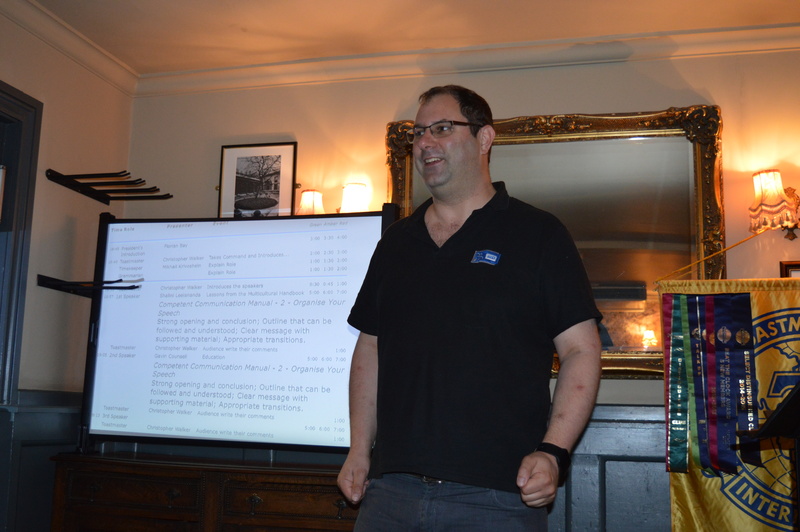 Last Wednesday’s meeting was all about variety, with an Icebreaker speech, a sixth speech from the Comptent Communicator Manual and one from the advanced manuals. It was also about members taking on new roles for the first time. 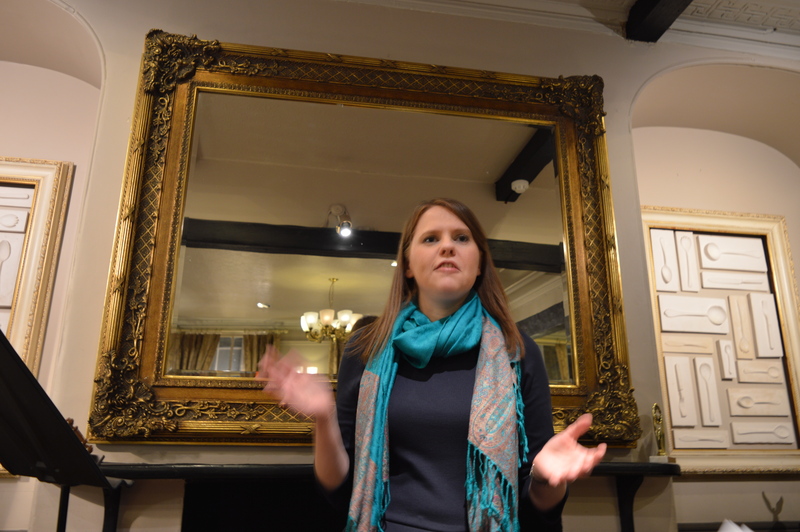 Dani for the first time took on the role as Toastmaster, smoothly guiding everyone through the events of the evening. Some of our newest members took on roles, with Shalini as the evening’s Timekeeper, and Christine as Grammarian, introducing “Laborious” as the word of the day. Gavin was the first speaker of the evening, delivering his Icebreaker speech “Black Night”. 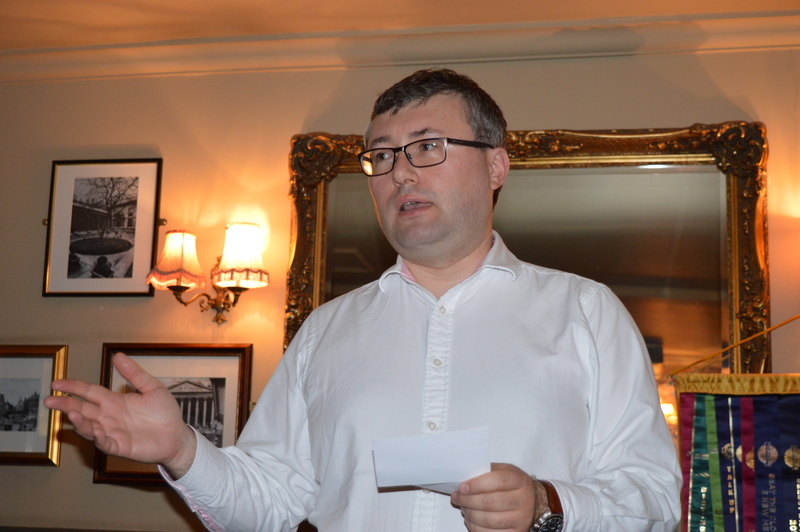 Gavin gave the audience an enjoyable insight into his life as a light-hearted actuary with a strong interest in rugby, before moving on to talk about his experience in public speaking up to now and his enthusiasm to practice and improve. 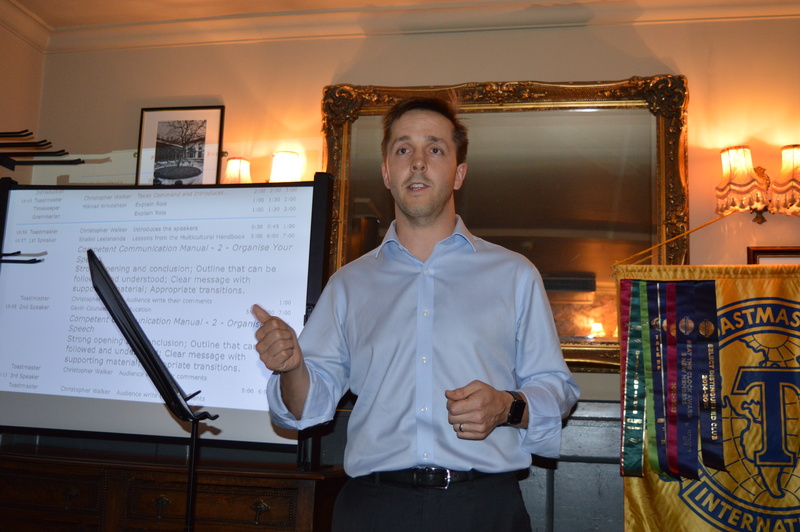 Gavin delivered a solid speech that was energetic and engaged with the audience – we look forward to hearing more. 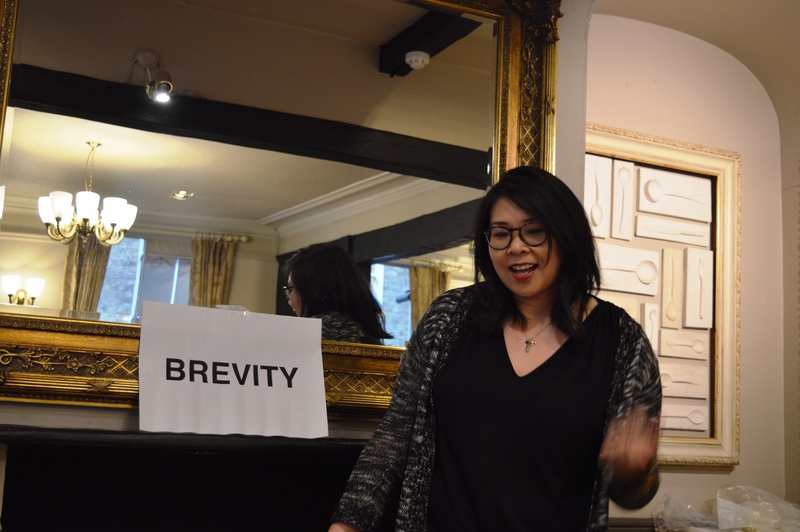 Thien Trang delivered her 6th speech titled “What’s the Rush”, discussing her firmly entrenched habits when it comes to time-keeping. Thien’s speech was presented with humour and enthusiasm and good vocals – and in keeping with her last minute timekeeping, managed to close the speech at the exact time limit, well done. 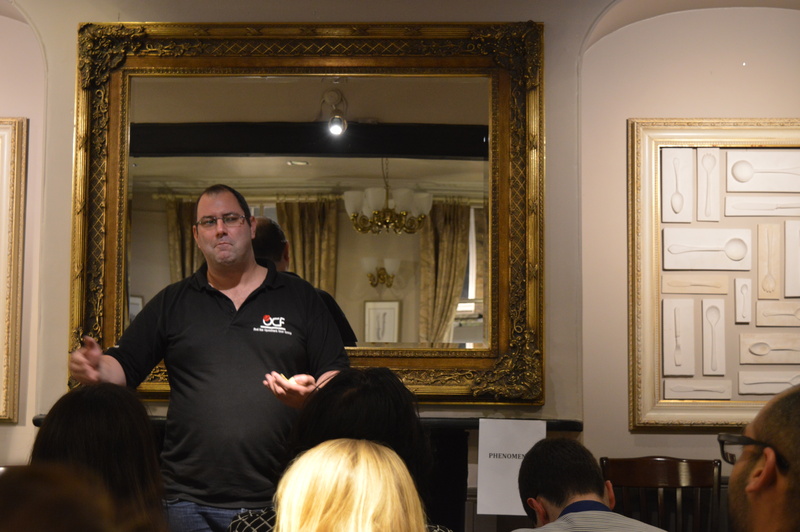 Ian delivered a speech from the advanced manuals “Steps” which focused on risk taking and stepping outside your comfort zone. Ian told us of his journey in public speaking and how it’s been a big part of the personal changes in his life. It was a fun and interesting speech, told with an engaging voice and good ad-libbing. Thien-Trang, Sergeant at Arms for the evening, then introduced the guests – we look forward to seeing many back here next time! After the break came the evaluations. Evaluations are all about providing feedback on what speakers are doing well, and pointers for improvement. 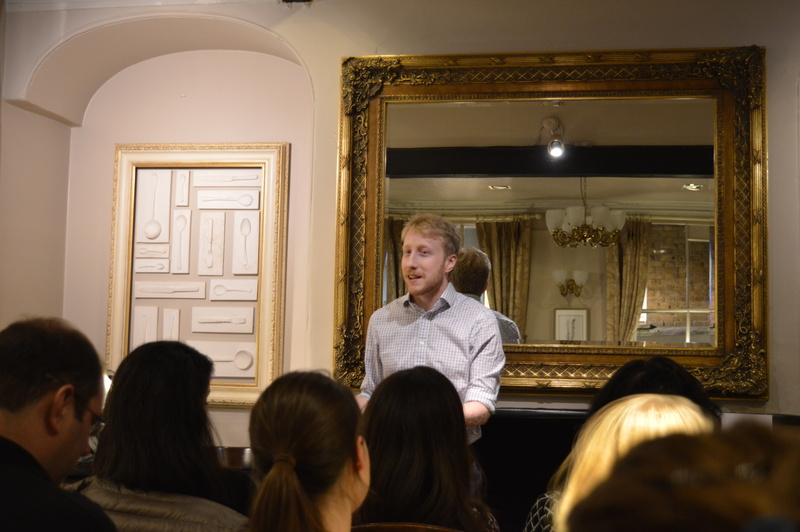 James evaluated Gavin, commending him on his speech’s well planned content, as well as his delivery, which strongly captured the audience’s interest. Gavin did well on body language and eye contact, and showed an intuitive ability to connect with the audience which will hold him in good stead as he progresses in working on his speeches. 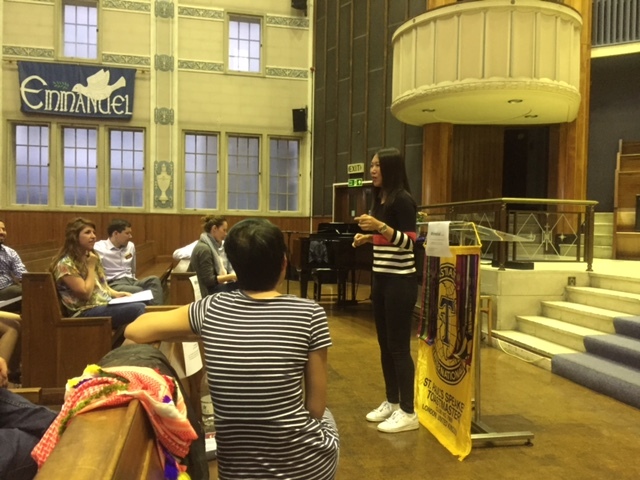 Caroline evaluated Thien’s speech, focusing on where Thien performed well in terms of the speech’s objective (Vocal Variety), particularly on vocal projection, and also discussing body language used. Hamad commended Ian’s speech before moving in to hone in on some suggestions he had for improvement. 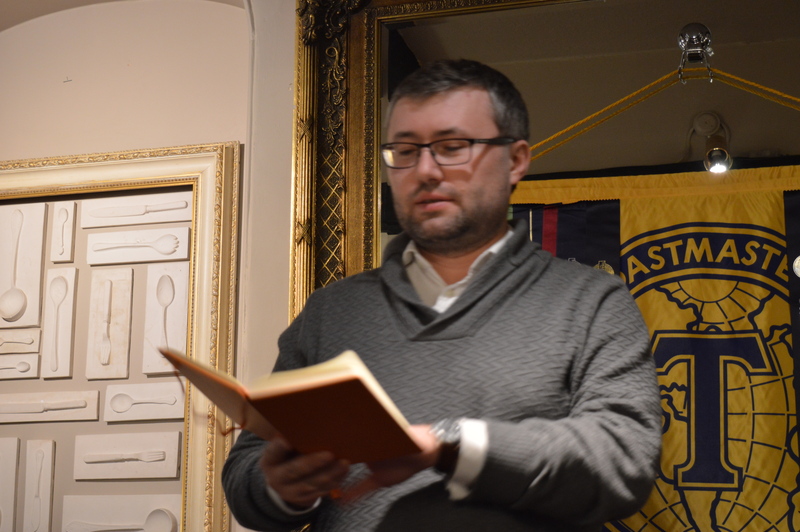 After those insightful evaluations came the Table Topics, hosed by Mikhail with a series of impromptu speaking topics that were all book related. 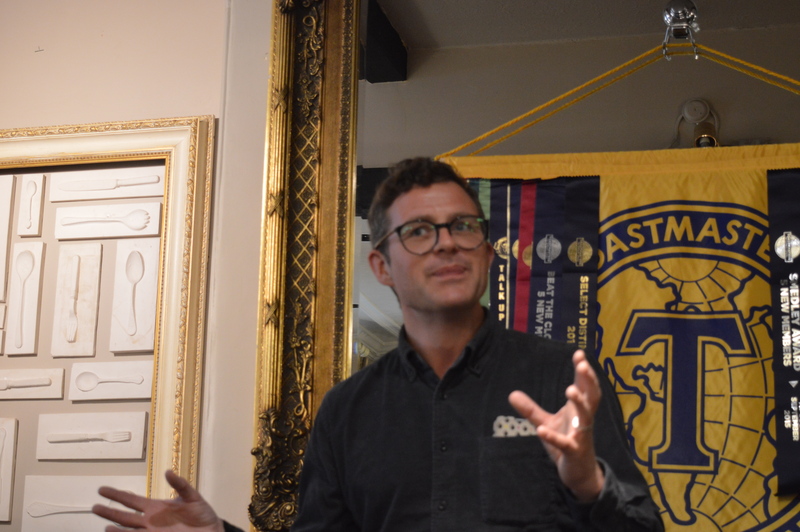 Club members as well as guests took part in a fun set of topics. After the Timekeepers report came David’s evaluation of the Table Topics, offering insight into things that were done well and areas for improvement. David put emphasis on vocal projection as an area that a lot of the speakers could do better on. 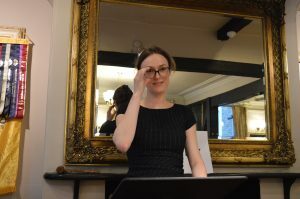 Christine, having listened carefully to all the language used, delivered a fun and interesting Grammarian’s report, congratulating everyone who used the word of the day in their speeches. 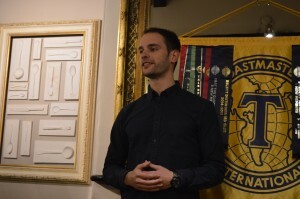 Finally, Ernesto delivered the General Evaluator’s report, commenting on the club in general as well as giving feedback to all those that had spoken but had not been evaluated – starting with Dani before moving onto the speech evaluators and functionaries of the evening. It was great to hear such positive comments but also with some perceptive thoughts on areas for improvement. 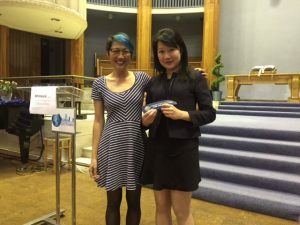 International Speech & Evaluation Contest at St Paul’s Speakers! 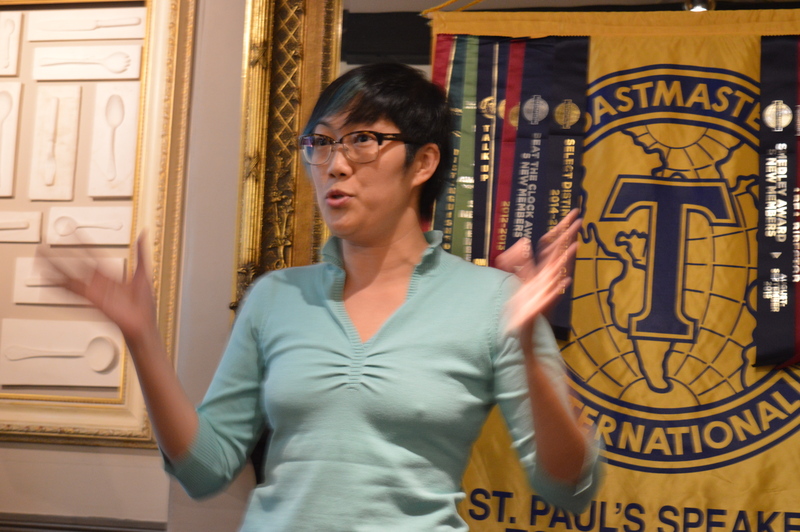 Wednesday’s meet was a big day – a Speech & Evaluation Contest – deciding who would represent St Paul’s Speakers in the area round. Joy was the evening’s Chairperson, guiding everyone through the evening events. 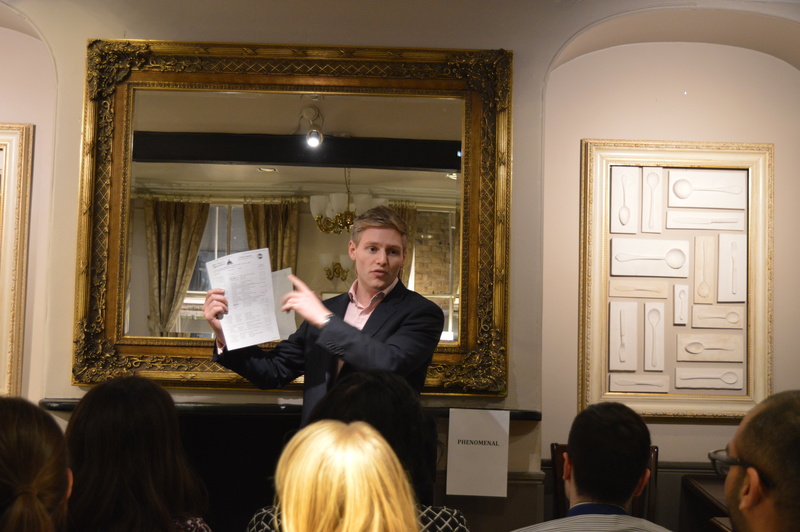 The contest started with Christopher’s speech “Letters from the Past”, telling us of his experience discovering a cache of letters written home by a family member in WWII. Christopher engaged the audience with the story of these letters and what they contained in a warm and interesting speech. Next up, David delivered his speech “Dead Cat Politics”, looking at the way in which many current British and American politicians undermine their political opponents by recourse to personal attacks or by sidestepping issues by use of populist appeals. It was a heartfelt speech that was robustly argued. 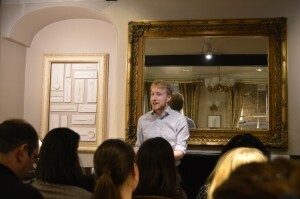 Next, James gave his speech “Classic Self Help” which began by looking at the “Marshmallow Experiments” of the 1970s and the art of resisting temptation, before moving, via Odysseus, to discussing Marcus Aurelius and his approach to personal fulfilment. 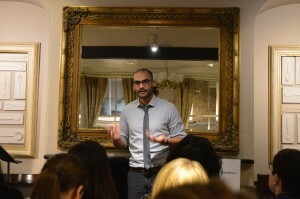 It was a speech that combined scholarly content with humour and a touch of philosophy. Thien delivered her speech “Cut it Out!”, starting with a theatrical entrance, parodying female beauty care adverts before delivering a withering critique of the way that advertising objectify women. The speech worked well in combining serious content with good use of rhetoric and body language in order to demonstrate and parody the target of the speech; it was an engaging speech. 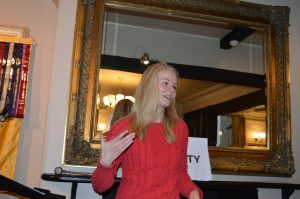 Helen delivered her speech, focusing on her love of numbers growing up and how she has used numbers in the past as a way to help ordering her life – Helen impressed everyone in the audience with her ability to turn words into numbers by matching letters to numbers, and gave an interesting speech that was conversational in style. After the break we had the mystery speaker, Annabel from London Victorians club, who delivered a speech giving insight into her life as the daughter of a tiger-mum, sharing with us the long list of extra-curricular activities and expectations placed on her, and how she lived up to them. 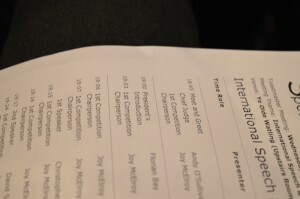 This was the speech on which the evaluation contest was based. The evaluators were Trisha, Isabele, Sarah and David, all wow-ing the audience with confident and interesting evaluations made only very shortly after having heard the speech. Before the results came in there were some table topics, including one from Florian on “what’s the better gender: men or women”. Florian did not tiptoe around the answer. In our last meeting, Sarah took on the role of Toastmaster of the evening, with Gavin as the Timekeeper doing his first Toastmasters role. 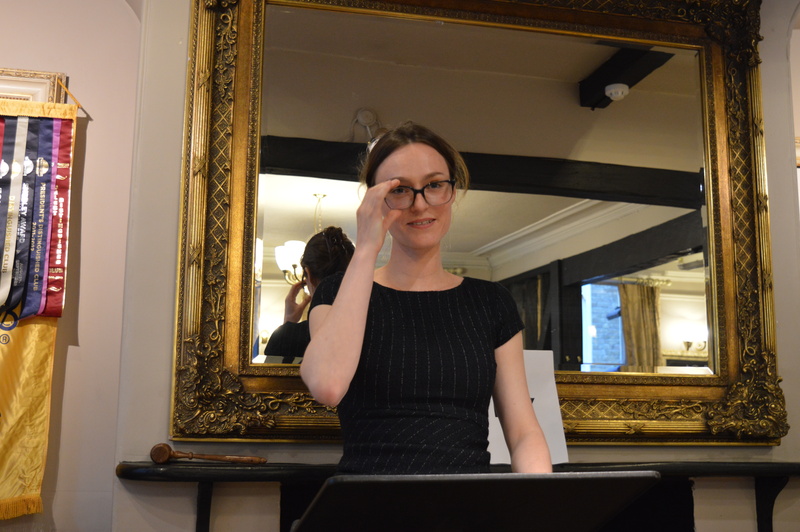 Anne, as Grammarian of the evening, introduced the word of the day Stupendous – for speakers to try to fit in their speeches. 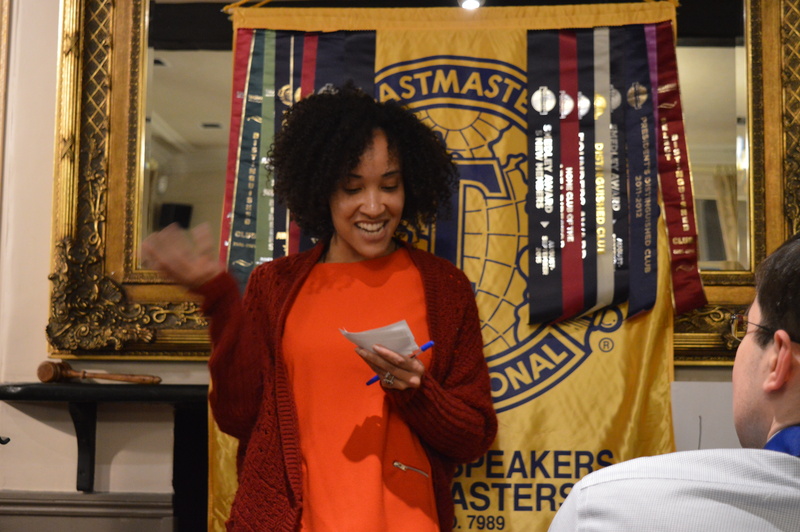 There were three excellent prepared speeches, starting off with Joy who delivered her Icebreaker speech lastminute.com, entertaining everyone with a speech about her procrastinating ways. 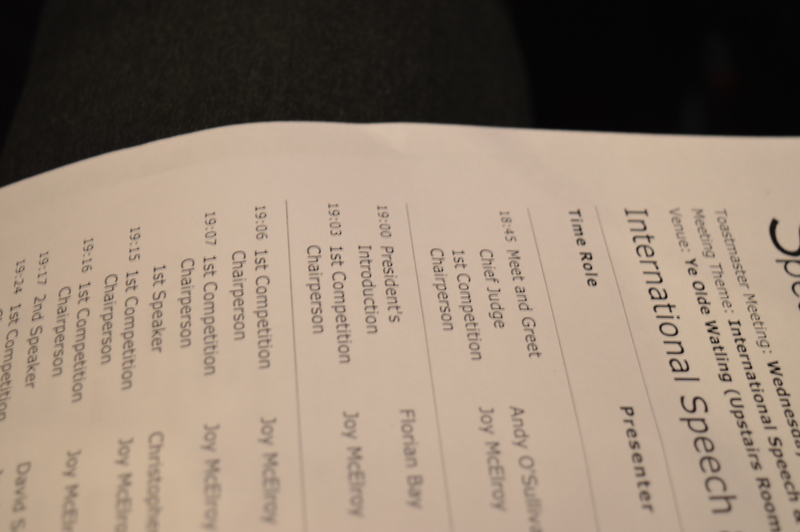 Joy’s confident speech featured dry humour and a conversational style – we look forward to hearing her next speech. Thien’s speech “Cut it Out!” was her fifth, the objective of the fifth speech being to use body language in order to achieve the speech’s purpose. Thien gave a sensational entrance, parodying the female beauty adverts before delivering a withering critique of the way that advertising objectify women. 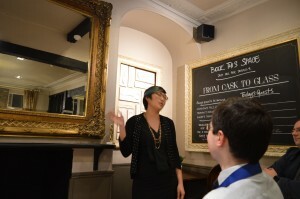 Heavy stuff but well-argued and extremely engaging; Thien won best speaker of the evening. David gave an interpretive reading from the advanced manuals telling us the story of “The Devil with the Three Hairs” from Brothers Grimm. It was an excellent choice of story, with an engaging plot, and with the opportunity to harness great vocal variety and the use of different voices. Before the break Dani introduced the guests, inviting the guests to stand up and introduce themselves. After the break Isabelle gave the first evaluation, congratulating Joy on her first speech, and providing some pointers for improvement. James’ evaluation reminded everyone about how important body language (the speech’s objective) is to a speech before congratulating Thien on how well she had done in meeting the objectives, having begun her speech with a memorable start that did not lose tempo as she moved into the serious aspects that she wanted to address. Andrew gave his first ever toastmasters evaluation with confidence, providing commentary on the aspects of David’s reading that worked really well and offering insightful feedback. Florian was table topics master. In the engaging session he presented a bag of objects for audience members to pick an object at random and use that as the basis of a short speech. The table topics started with Mikhail picking out a sock, and ended with Joe picking out an egg shaped business card holder! There were some unusual objects and some great answers to the session. 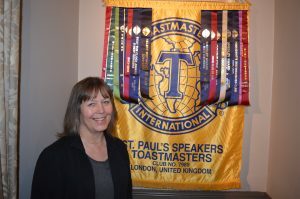 Afterwards, Trisha gave a table topics evaluation with commendations and recommendations. 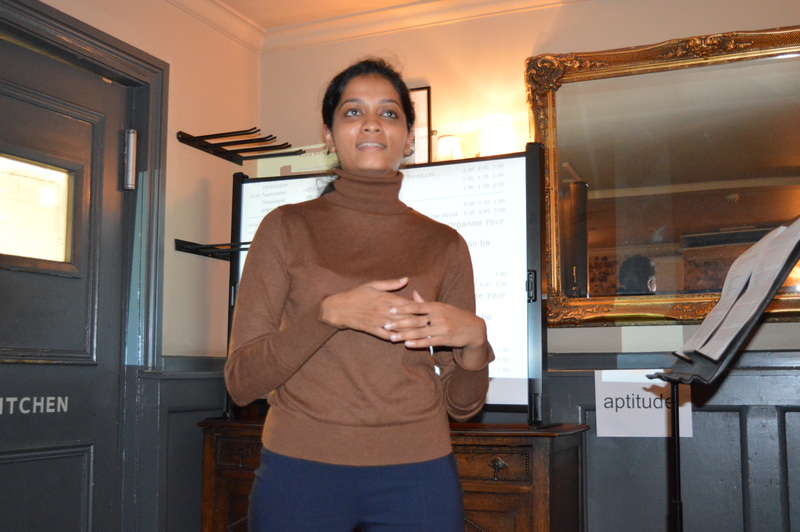 Before the evening was over, Anne delivered the Grammarian report, commenting on interesting word usage, and Prateek delivered an insightful General Evaluator report, offering some really good feedback to the club as a whole and the members taking part in the evening’s agenda. 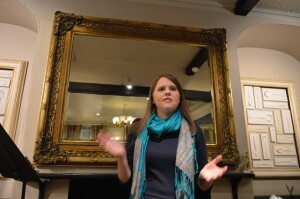 Our first meeting in our new venue Ye Olde Watling was a lively affair with three prepared speeches. David was Toastmaster of the evening, introducing everyone to the stage with their favourite piece of regional slang – from “gurt lush” to “tha’s using yer noggin”. 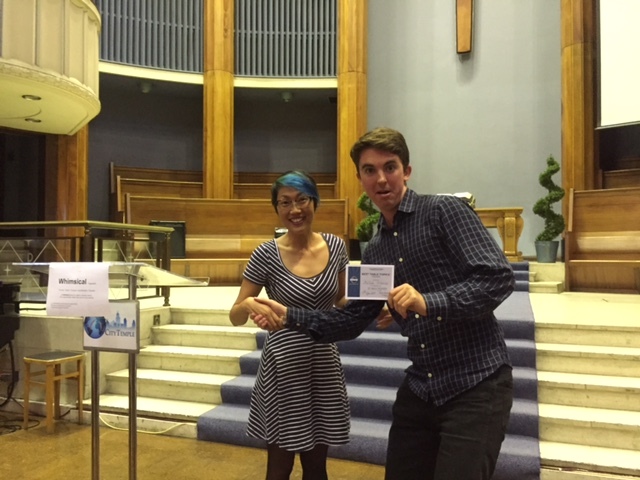 Andrew was the evening’s timekeeper and Isabelle the grammarian, introducing the word of the day “phenomenal” (a word which speakers then try to fit into their speeches). Sumit gave the first speech of the evening “Eating Alone” with an interesting and conversational speech looking at choices people make to do things on their own. 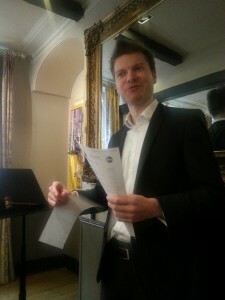 Florian gave a speech from the advanced manuals telling an original story. 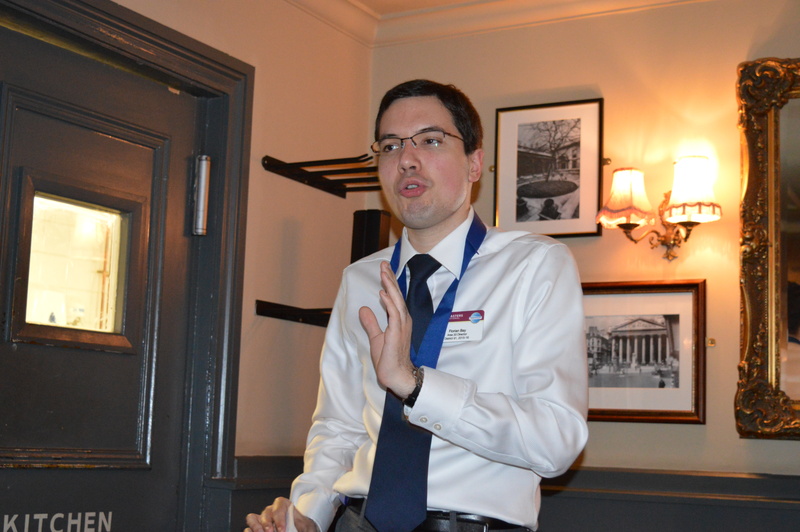 Florian told us an engaging story of how he left home in France for university in the UK. Mikhail gave a speech from the advanced manuals, a technical briefing titled “HTTP and TCP/IP”, a technical speech that was presented to be understood by non-techies. After the break came the evaluations, starting with Anne evaluating Sumit’s speech, James evaluating Florian’s, and Dani evaluation Mikhail’s They were all insightful evaluations that looked at the positive aspects of the speeches, as well as areas of improvement. 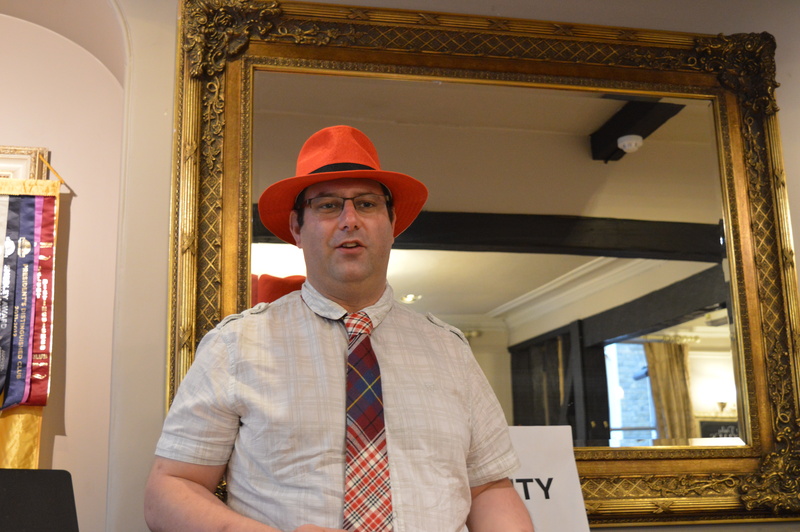 Charles was the table topics master of the evening, asking a fun and interesting array of accessible questions, starting with “what’s something that you would really like to do in your life but haven’t yet done?! There were some really humorous answers and many of the guests took part. Then came the final evaluations, with Christopher delivering the table topics evaluations, Isabelle delivering the grammarian report, commenting on interesting word usage, and Peter (from a fellow toastmasters club) gave a very warm and useful general evaluators report on the club as a whole, as well as evaluating everyone who had been on stage who hadn’t been evaluated. 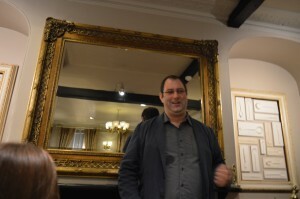 Our next meeting on January 13th will take place at the Loose Cannon bar.